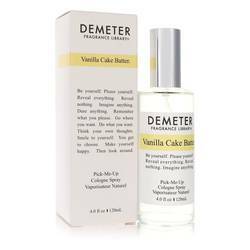 Vanilla Cake Batter Perfume by Demeter, Vanilla Cake Batter is a scrumptious confection in aromatic form . 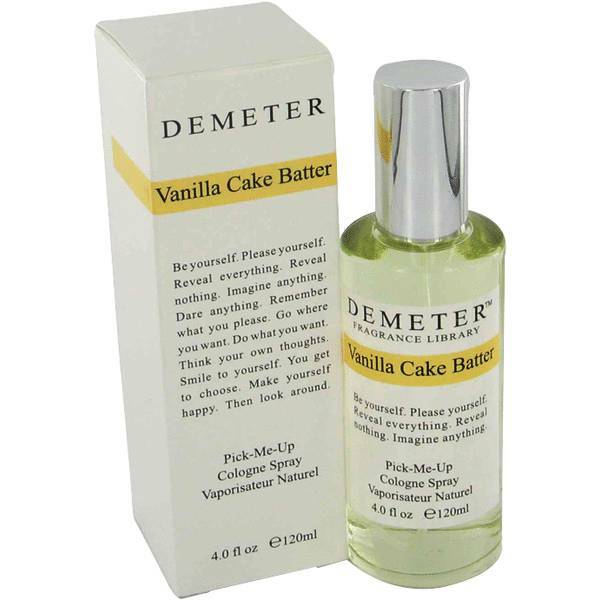 Enjoy all the delicious scents of dessert without any of the guilt. This yummy fragrance begins with the deep, rich aroma of decadent fudge. Next is a sticky drop of sweet caramel, irresistible to anyone with a sweet tooth. The bold, tantalizing aroma of chocolate leaves behind a pleasantly bitter trail. Creamy and intense, it lifts your mood and infuses you with energy. 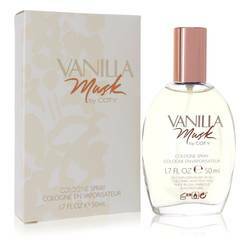 A dollop of piquant Read More Read More vanilla ends the perfume with a cheerful sparkle. 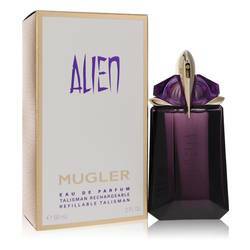 Treat yourself to a celebration every day when you wear this youthful fragrance. 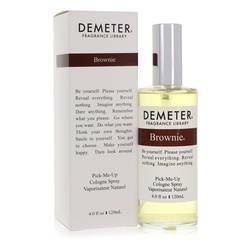 The Demeter fragrance house was founded by Christopher Gable and Christopher Brosius. 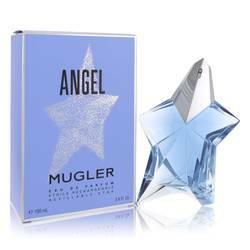 The brand is named after the Greek goddess. 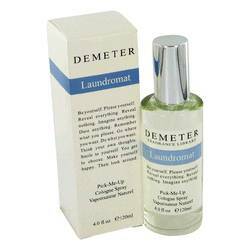 The Pennsylvania-based company has over 200 fragrances in its collection. 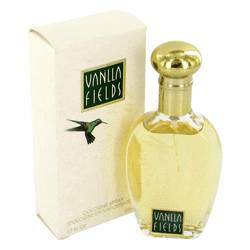 The scents are meant to evoke memories and take you on a journey through time. Other offerings include scented oils, body peels, lotions, soaps, and candles. All products are original, authentic name brands. We do not sell knockoffs or imitations.